Crunchzilla offers interactive tutorials that get people excited about programming. Play with code, build, and learn. Code Monster, Code Maven, and Game Maven are interactive tutorials where kids and adults can play with code, experiment, build, and learn. Data Maven is an introductory statistics tutorial designed to spark a curiosity for statistics and data. 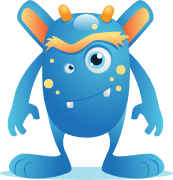 Code Monster is for younger children, ages 9-14, and for curious adults. Code Monster is the easiest tutorial. Code Maven is for ages 13 and up and is harder than Code Monster with more difficult problems, more depth, and more explanation. 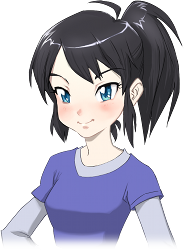 Game Maven is for adults and older teens who have some programming experience. Game Maven is a step-by-step tutorial for writing three different video games. Code Monster, Code Maven, and Game Maven are all interactive programming tutorials using live code. Players learn step-by-step building fun graphics, animations, and even fractals and simple games. They are immersive tutorials with a focus on action over explanation. Players build right away with code, learning about coding by coding. Data Maven is an intuitive game-like tutorial where people new to statistics try answering questions using data and statistics. The focus is on action. Answer questions, look at data, and discover how to use statistics as your tool to do even more. Crunchzilla builds educational games and is part of Geeky Ventures. Geeky Ventures is based in Seattle, WA. Crunchzilla is a website provided by Geeky Ventures. In order to use the Site, you must accept the terms set forth below. If you are a minor, your parent or guardian must accept the terms and full responsibility for your use of the website. THESE TERMS OF SERVICE CONSTITUTE A BINDING LEGAL AGREEMENT BETWEEN YOU AND GEEKY VENTURES. BY USING THE WEBSITE, YOU AGREE TO THESE TERMS. The website HTML, text, images, audio, video, software or other content that is made available on this website are the property of Geeky Ventures or its content suppliers. Before you use this content in some way please take care to ensure that you have the relevant rights and permissions. You are welcome to display on your computer, download, and print pages from this website for personal and educational use only. THE WEBSITE IS PROVIDED "AS IS". Your use of this website is at your own risk. Geeky Ventures disclaims all warranties, expressed or implied, including without limitation, warranties of merchantability and fitness of a particular purpose. Geeky Ventures disclaims liability for any direct, indirect, incidental, special, consequential, exemplary, punitive or other damages, or lost profits, that may result directly or indirectly from the use of the website. This includes, without limitation, any damage to computer systems, hardware or software, loss of data, or any other performance failures, any errors, bugs, viruses or other defects that result from, or are associated with the use of this website. Geeky Ventures may modify this agreement at any time, and such modifications shall be effective immediately. Crunchzilla is extremely protective of privacy. Crunchzilla keeps almost no information about people who use the website. Like nearly all websites, Crunchzilla has web server logs that may contain the IP address used to access the web server. That is standard in nearly all webservers and not an attempt at data collection. In keeping with standard language in privacy policies, personally identifiable information will not be disclosed to a third party unless required by law and we may update this policy from time to time at our sole discretion. We are very protective of your privacy. We like it that way. Crunchzilla is a product of Geeky Ventures. Geeky Ventures is based in Seattle, WA.